It all starts with the Thanksgiving Day disappearance of two little girls from their quiet neighborhood in the fictional Conyers, Pennsylvania. Their respective parents' reactions are distinct. 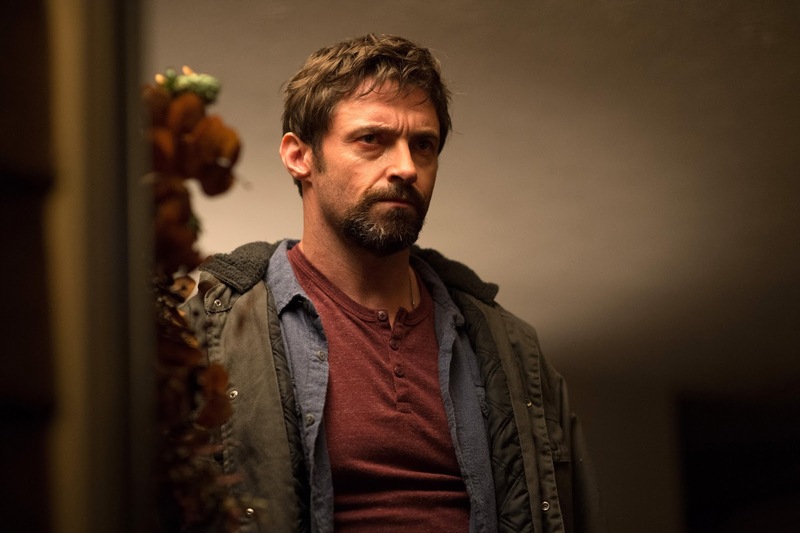 Unemployed carpenter Keller Dover (Hugh Jackman), a survivalist who believes it "better to be prepared for the worst but hope for the best," feels ineffectual in the face of this incredible event while wife Grace (Maria Bello) is curled up in a fetal position for most of her day. Their more pragmatic neighbors Franklin (Terrence Howard) and Nancy Birch (Viola Davis)—friends who lost their own daughter just like the Dovers—spend their time praying in vigils, trusting that law enforcement will do its job. Vagrant Alex Jones (Paul Dano) was parked in their neighborhood on the fateful day, but a quick search of his dilapidated camper by Detective Loki (Jake Gyllenhaal) and his forensics team finds no physical evidence to link him to the girls. Scant though the link appears to be, the camper's presence in the neighborhood and Jones frightened reaction when confronted by Loki and other cops is enough to convince Dover to kidnap the man and enlist Franklin in torturing him until they get answers. It's difficult to ignore the political dimension to Prisoners. 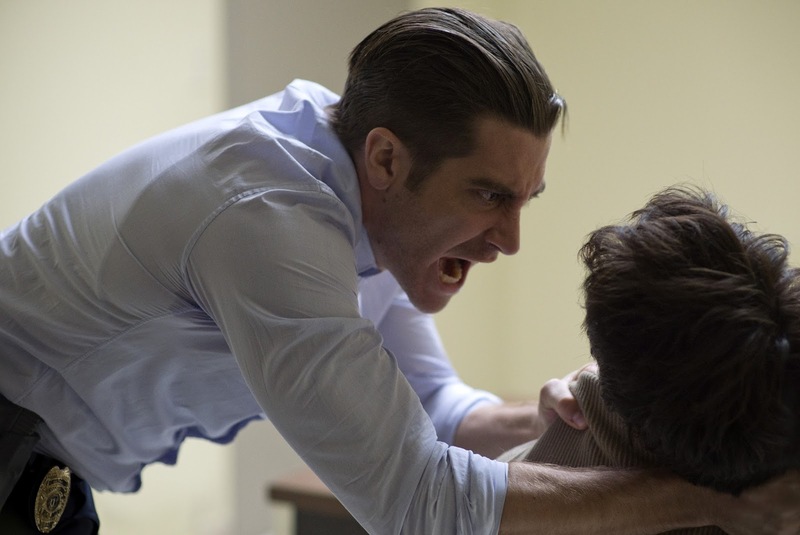 Though at times overly didactic in its parallels, the allegory is gripping enough to afford some density to what might have otherwise been a predictable cop procedural-revenge film mash-up. The working class Dover is a walking, talking billboard for libertarianism, his basement stocked high with everything from gas masks to batteries and canned food, his now-wavering Christianity a solace from a complex world with few simple answers. To Dover, everything is binary... yes/no, black/white. 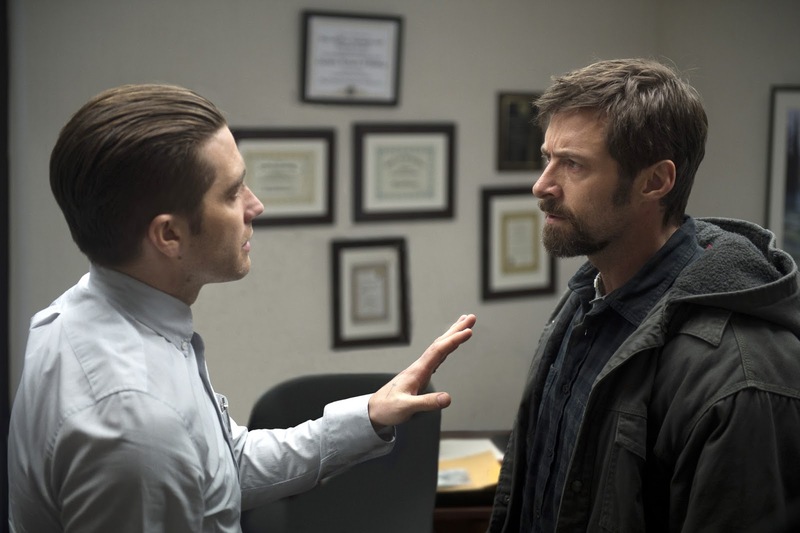 Gyllenhaal plays the dead-eyed Detective Loki as a callous functionary who gives Dover only the type of trite answers one often expects from a cop. "Calm down." "We're doing the best that we can." But Loki's public face masks a determination to find Dover's little girl using proven forensic methodology. Dover's distrust of the police is tied into unresolved abandonment issues, it's implied; his own dad—a corrections officer—took his own life when Dover was a teen. He is compelled to maintain some modicum of control over his life—and this investigation specifically—the way an inexperienced but vocal minority who feel left adrift by politicians do by throwing themselves into politics. But if Dover's trying to prove to himself that he won't abandon his child, tell that to his son (Dylan Minnette). He resents how Dover's mission has lured him away from comforting their heartbroken family. Before long, Dover's workman-like demeanor in his quest to elicit any kind of answer from Jones—his methodical application of pain; the grotesque torture chamber he devises within the boarded up, rundown apartment building he used to live in as a kid—makes one wonder how much of an influence his jailer father—who he has tried not to emulate—really has had on the determined vigilante. Wariness of the establishment and torture both being such loaded subjects in this era, it cannot be a coincidence that Dover appears to represent the kind of extremist that is disrupting our ability to rise above the atmosphere of fear that plagues us post-9/11. Villeneuve does a fine job of mirroring the disappearances of the girls, Alex's disappearance, and the discovery of a seemingly unrelated corpse early in the film, each not only reflecting the others but the turmoil inside the frantic Dover and the grim mood still pervading our own country more than a decade after the World Trade Center attacks. Is Prisoners advocating trust in the bedrock procedures of the legal system over the reckless self-reliance of a compromised individual? I'm not completely certain. But the haunting sound of a safety whistle over the final frames of Prisoners proclaims that there are still a great deal of facets to this parable to consider.